No code needed. 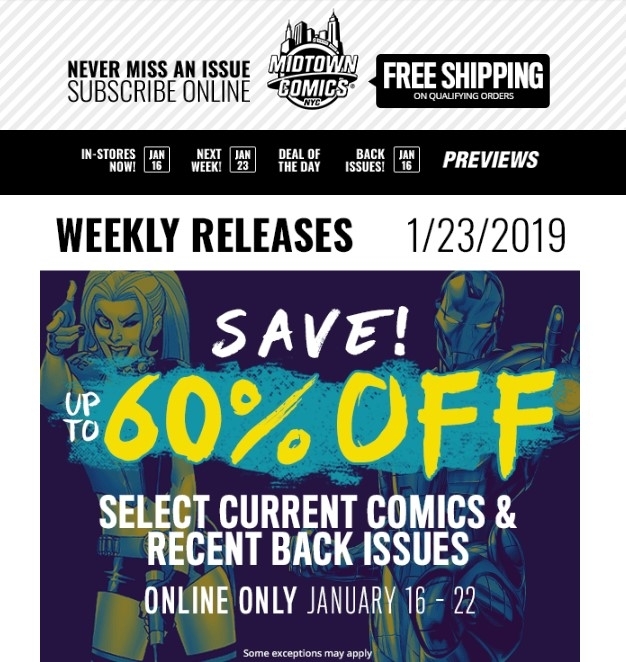 Click the button to redeem your discount at midtowncomics.com. Erika Vogelsang There is no code needed for this deal. The discount has already been applied on the website.There may be some exclusion.